Hurricane Willa surged to a dangerous Category Four storm off Mexico's Pacific coast, US forecasters said Sunday, warning of a life-threatening storm surge and heavy winds and rainfall. The monster storm was 340 kilometers (210 miles) south-southwest of Cabo Corrientes, Mexico, packing top sustained winds of 230 kilometers per hour. "Extremely dangerous... Hurricane Willa continues to rapidly strengthen (and is) forecast to produce life-threatening storm surge, wind and rainfall over portions of southwestern and west-central Mexico beginning on Tuesday," the Miami-based National Hurricane Center warned. It was churning forward north-northwest, at a slow nine kilometers per hour, the forecast said. "Additional strengthening is expected during the next day or so, and Willa is forecast to be a dangerous hurricane when it reaches the coast of Mexico," the NHC said. Mexico's government has put various parts of the coast on alert. 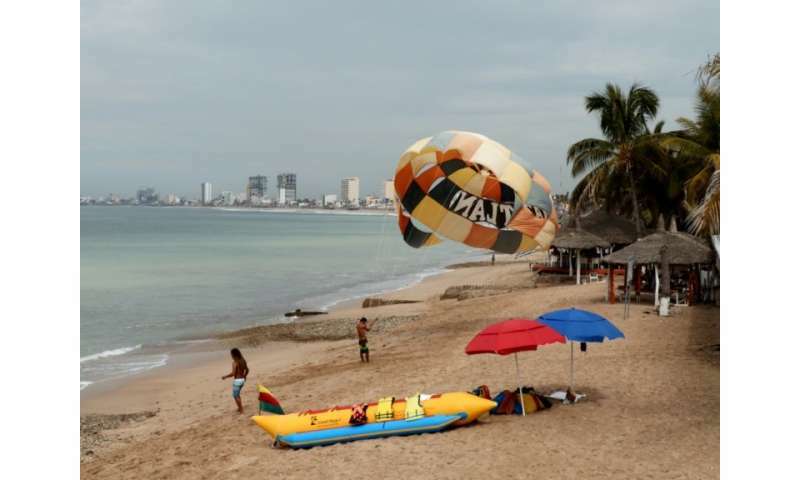 Elsewhere, Tropical Storm Vicente—with maximum sustained winds of 65 kilometers per hour—was expected to bring "heavy rainfall and flooding" over Mexico's south and southwest. Since last Thursday, the southern state of Oaxaca has suffered flooding and landslides related to the rains, which authorities said have left 11 people dead.